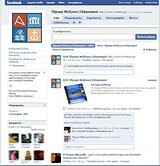 Foundation of the Hellenic World on Facebook! Facebook, one of the greatest social utilities on the Internet, provides people all over the world with the opportunity to communicate, exchange articles, express their opinions and share their ideas. Foundation of the Hellenic World, one of the most important cultural organizations in Greece, establishes its presence on Facebook and invites you to participate. Learn and disseminate activities related to Hellenic history and culture through your everyday involvement on the Internet. Visit the new web site "360o Virtual Tour at Ancient Miletus" to wander through the streets of the city and to learn about their monuments in panoramic view. Enjoy the immersion into the virtual environment through the Internet and see the ancient city come back to life as it was 2.000 years ago. This project analyses Hellenic prehistory, protohistory and history. To facilitate research and information usage, time has been divided into 15 periods. The Encyclopedia of the Hellenic World (EHW) is an original electronic work dealing with the collection, recording, documentation, presentation and promotion of the historical data of the presence of Hellenic culture through space and time. The EHW is structured in geographically specified volumes and includes mainly entries from areas that lie outside the borders of the Greek state. Internet portal dedicated to the history and culture of the Aegean Archipelago from Prehistory until today. "The Ancient Agora of Athens"
The Digital Virtual Reality Collection “The Ancient Agora of Athens” is an internationally unique project, which visualizes information about the Ancient Agora, the centre of political and cultural life of the Athenian Democracy. This virtual journey from the 5th century BC to the 3rd century AD becomes for the visitors a journey of discovery, where they can explore the landscape, participate in virtual activities and experience the everyday life of that period. The Foundation of the Hellenic World has undertaken the work of preserving the personal and family memories of Hellenism and presenting them to the future generations of Greeks. Through the personal and family history of every refugee, from Asia Minor, Black Sea, Eastern Thrace or Constantinople, we reconstruct the character of Hellenic presence both within and outside the present day borders. CD-ROM: "MYSTERY IN ANCIENT MILETUS"
pearance of their uncle Pericles. Lead the little robots of the inventor Tryphon Knowall back through time and learn about the admirable culture of ancient Miletus through this magical journey! DVD-ROM: "Meeting at the Ancient Agora"
Learn about the history, the people and the democratic institutions that sprung from the site of the Ancient Agora of Athens through an interactive adventure to this «magical" site. 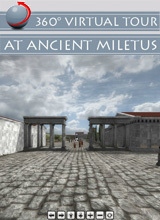 The DVD-ROM includes a multitude of scientific information, excellent illustrations, interactive games, as well as providing the unique opportunity to tour the exhibition with the same name presented at "Hellenic Cosmos", the Cultural Centre of the Foundation of the Hellenic World and the Virtual Reality programme that is shown at "Tholos". CD-ROM: "SEARCHING FOR ALEXANDER THE GREAT"
Travel with Jason and Danae and follow the course of Alexander the Great. Travel around the world, see museums and monuments and learn about the cultures that were influenced by the Macedonian king all over the world! Documentary: "The House of Hermogenes"
struction of the typical house of Priene based on the research of Prof. Dr. Wolfram Hoepfner. Its subject is to demonstrate the arrangement and the functionality of a residence of the classical period. Documentary: "Miletus... A City in Four Dimensions"
tary entitled, "Miletus... A City in Four Dimensions", which won the 1st prize at the 5th Amiens Festival (Cinquieme Festival du Film d’Archaeologie d’Amiens) in France. The ancient city is brought back to life using three-dimensional representations of the most important public buildings. Book: "Ephesus - History and Architecture"
The Foundation of the Hellenic World published the book "Ephesus - History and Architecture" with the kind support of the J. F. Costopoulos Foundation. The book is part of a series of publications dedicated to Asia Minor cities of Antiquity. In 2000 a volume has been published regarding Priene. 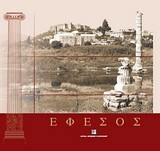 Book: "Agora of Athens. A journey in four Dimensions"
Printed album with three-dimensional photorealistic digital reconstructions of the buildings of the Ancient Agora in the Classical Period. It brings to life, with excellent accuracy, one of the most important sites of ancient Hellenic culture and of the Classical world. BOOK: "LEARNING ABOUT ANCIENT OLYMPIA"
Educational children's book which familiarizes children with ancient Olympia, through texts and stickers. The only prerequisite is the creative participation of young readers! BOOK: "OLYMPIA. A JOURNEY TO FOUR DIMENSIONS"
sional photorealistic reconstructions of the most important buildings of ancient Olympia, which are presented with emphasis on historical accuracy and construction details. The book "Usak: My Homeland" records the history of Usak, the authorΆs place of origin. This city of Phrygia was near Philadelphia and its Greek and Byzantine name was Timenou Thirai. 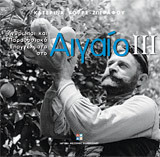 Book: "People and Traditional Professions in the Aegean III"
Third and last part of the series "People and Traditional Professions in the Aegean" which this time focuses on Crete and Skiros. The author traces the development of the traditional professions in these islands and at the same time outlines the changes of the traditional communities in the last three decades of the 20th century. She combines in a unique way written sources, personal narrations and the products of material arts, which constitute valuable first material. Theatrical happening about the celebration of the twelve years of operation of Hellenic Cosmos, with the leading role played by a a three-dimensional character (avatar) who talked with the actors in real time. At the same time, a tour of ancient Miletus and Priene, at their history and architecture, through the three-dimensional representation of these cities. The three-dimensional film-documentary entitled "Darwin: the mystery of life" is being presented at "Tholos", the Virtual Reality theatre of Hellenic Cosmos, from November 2011. The film promises an adventurous journey of discovery of the evolution of life in our planet through the eyes of Darwin. "A Walk Through Ancient Priene"
Priene, in Asia Minor Ionia, the most extensively excavated Hellenistic city in Asia Minor and an excellent example of Hellenistic architecture, comes to life in FHW's production "A Walk Through Ancient Priene". With the creation of a structured environment, clear and balanced, the city expressed the mature philosophical and political thinking of the Classical Period. Public buildings, private residencies and temples constitute the sights of this tour of this city of Asia Minor. "Asia Minor... Echoes of Memory"
A journey into Asia Minor with four half-hour documentaries.Two voices (or two souls) travel in space and time in quest of their roots, passing through approximately 20 cities of Asia Minor, from Assos to Myra, uncovering their history from antiquity to the present day. The documentaries are enriched with 3D representations of monuments. The portal includes all the productions (Internet sites, 3D representations, Virtual Reality, books, CD-ROMs, documentaries) created by the Foundation regarding Asia Minor cities. The first complete project for the digital recording of the memory of the Greek refugees is already on-line. Hundreds of photographs, documents and interviews illustrate the history of the communities of the refugees in Central Macedonia. "We Were Children Then… Reminiscences of Asia Minor Refugees"
tary regarding the reminiscences of the last surviving refugees regarding their homeland and exile. 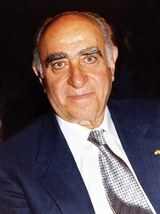 The documentary is based on recorded interviews of first generation refugees.